The key to great wedding photographs is a glowing complexion. Matte makeup may seem flat, so opt for formulas that will perk your skin up and add healthy radiance.. This lightweight skin brightener smoothes and evens out the complexion. 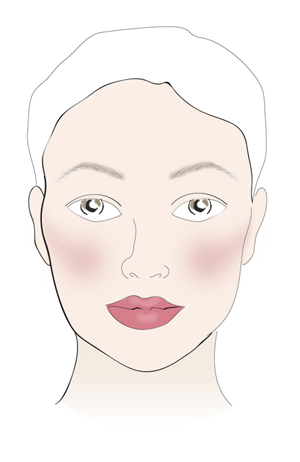 It’s a make-up bag essential that is incredibly versatile – mix with your usual foundation for a beautiful dewiness, and then dot along the cheekbones, across the forehead, down the nose, in the cupid’s bow and on the chin to catch the light. 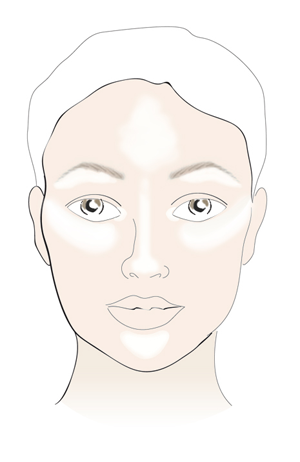 Even if your foundation is matte, you’ll get a beautiful, natural glow. You don’t want to worry about excess shine on your big day, so make sure you tuck a finishing powder into your bag. This one from Guerlain perfectly corrects and perfects without masking your glow thanks to its satiny, soft-focus finish. The powder also incorporates several colour-correcting pigments, including green for reducing redness, and beige to counteract sallowness. 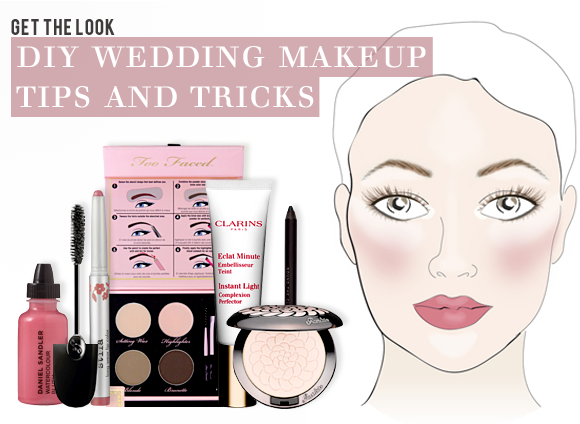 Constant touch-ups on your busy big day aren’t ideal. You want products that will last for hours and retain their colour beautifully, like these.. This wonder product from Daniel Sandler is silicone-based and highly pigmented, which makes it ideal for all skin types. The tiniest amount of fluid provides a perfect blushing finish that doesn’t slip or fade – it even has waterproof capabilities! The deep, flattering pink of Flush is universally flattering and can be sheered out for a natural flush, or built up a little more for a sculpted look. You’ve got lots of eating, drinking and chatting to do, so you need a lip colour that will stay looking great throughout. This lightweight formulation from Stila is ideal, offering long-lasting shine and pigmentation in one hit without drying the lips out. The subtle pink of Coquette in particular is flattering for most skin tones, offers a pop of subtle shiny pink, and looks great in photographs. Before anything else, it’s important to get the basics right when it comes to your peepers. Perfectly frame your eyes with these must-have products..
Well-groomed brows really pull your look together. Superior arches are easy to achieve with a kit like Brow Envy from Too Faced, which includes shadows for both light and dark brows, a highlighter, a setting wax plus stencils for different brow shapes. A stronger brow is essential when you’re having photographs taken, as it will properly frame your face and make you look more ‘done’. 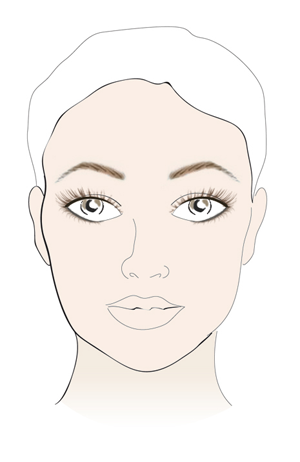 A foolproof trick for adding instant intensity is to define the eyes with eyeliner. This will shape your eyes and add depth, lining the eyes. This pencil is one of the best, offering nourishing, waterproof colour that will last for hours – even on the waterline. Fluttery lashes are an instant eye-opener, and they don’t come any more fluttery than after using the Guerlain Noir G mascara. The enclosed included mirror makes touch-ups a breeze. I bought this after reading positive reviews on various sites. It does what it says and really brightens my complexion. Even my friends have commented on how well I look. I will definitely buy it again. This entry was posted on Thursday, August 2nd, 2012 at 3:00 pm and is filed under Get the Look, Make-up. You can follow any responses to this entry through the RSS 2.0 feed. You can skip to the end and leave a response. Pinging is currently not allowed.